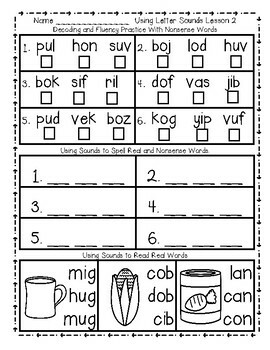 Students will use sounds to decode, read and spell real and nonsense CVC words. INCREASE FLUENCY AND CONFIDENCE in your emerging readers with this set of lessons and activities. 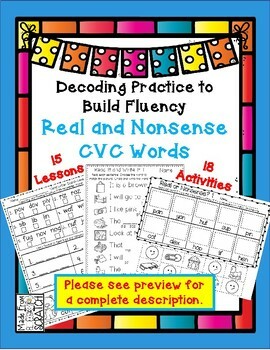 The lessons will fit easily into your skill groups or large group phonics instruction. 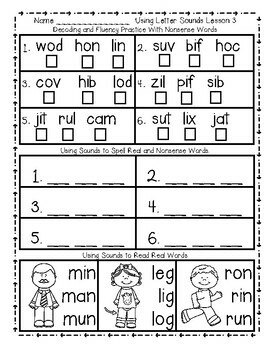 The activities will work well in your word work stations. Please see the product preview for a complete description and examples. 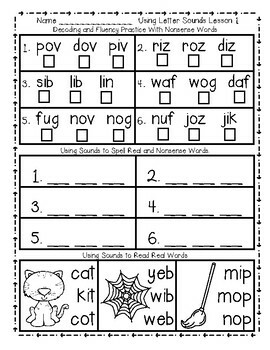 Email madefromscratch.tpt@gmail.com with questions and/or comments. THANKS for looking!